Home / Alumni / Rachelle Dumadapat-Ocampo: Not a Boring Life at All! 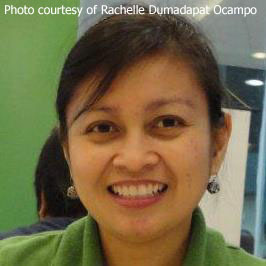 Rachelle Dumadapat-Ocampo: Not a Boring Life at All! You might have noticed that it is people who are a little short in quality or intelligence who like to throw their weight about; as if it is the only way that they can win respect from those around them. The ones of real quality and, therefore, have nothing to prove just let their work speak for itself and remain invariably simple and unaffected. Typically, although Rachelle agreed when I asked if I could write about her, she also said that she felt her life has been boring. Said, of course, with not just a hint of incredulity; and, again, typically self-effacing. The truth is, however, it has been anything but. 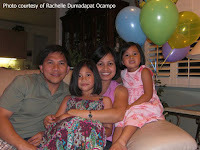 This is Rachelle Dumadapat-Ocampo that I am talking about. 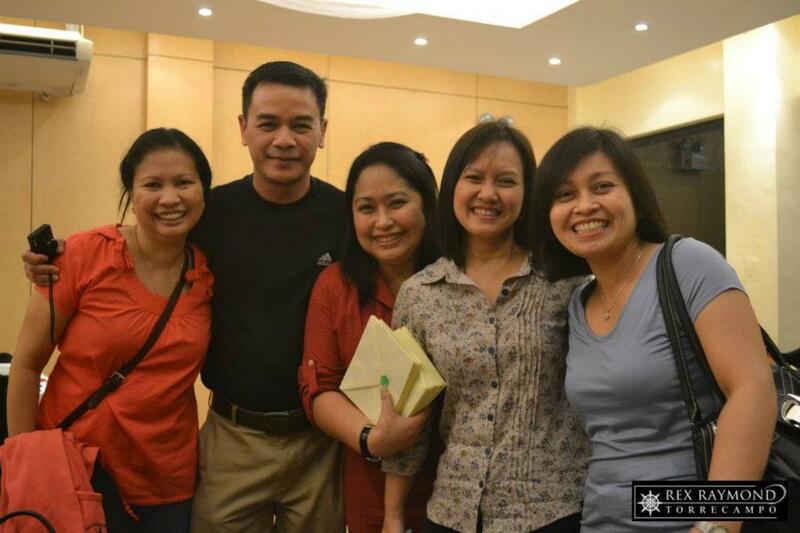 Valedictorian of the DLSL high school class of 1986. She was equally excellent with the Maths and Sciences as she was with the Arts and Social Sciences. I have handled classes where the competition for top honours was cutthroat. In Rachelle’s class, the top students were all best of friends. If there was competition at all, it was just something that the school system invented and never allowed to get in the way of friendships. Rachelle was among my nikniks (gnats), a group of smallish girls who came to pester me in the faculty room on occasions when they did not have to burrow their noses into their books. Twenty-six years after graduation, she still keeps in touch with the nikniks and other classmates thanks to the benefits brought about by technology. It has been twenty-six years since graduation from high school. What had she been up to all those years? Well, first, a college education. From DLSU-Manila, Rachelle obtained a bachelor’s degree in Manufacturing Engineering and Management. She would subsequently enrol in an MBA program; but by this time, career had kicked into high gear and she did not finish. Fresh out of college, she went into a Citibank program that trained new hires to become programmers. Halfway through the training program, she was hired by Johnson and Johnson Philippines to do production planning and inventory control in the Consumer Products Division. Six years into the job, she was offered the position of Regional Ergonomist, which would have meant supporting all Johnson and Johnson facilities in Southeast Asia and reporting directly to New Jersey. She turned the offer down, however, to live in the United States. Her first job in the United States was with Agilent Technologies, with whom she stayed for all of eleven years. She was initially Product Life Cycle Planner but would also subsequently become Supply Process Engineer and Business Process Specialist. From Agilent, she moved to United Airlines where she was Work-in-Process Controller and Master Scheduler working under the airline’s Component Repair Division. 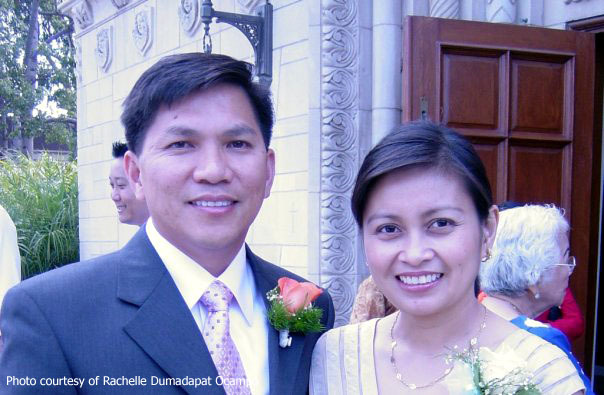 Rachelle and husband Manny make their home in a San Francisco suburb called Los Altos in the Silicon Valley Area. The couple has two girls: Isabelle aged 10; and Gabrielle aged 7. Filipina forever, then; whatever her passport currently says. And she has been around, having visited Thailand, Japan, Hong Kong, Mexico, Canada, Italy and Jamaica; not to mention travelled extensively around the United States. It is being with fellow Filipinos that completes her as a person because she is and will always be one of us. If her life has been boring, boy, how many of us will give an arm and a leg just to experience even a quarter of what she has accomplished! But Rachelle is just being Rachelle in not wanting to crow about all these where lesser mortals would have bragged to the death.